The Warriors will look to consolidate their lead at the top of the table ahead of the final round of fixtures. 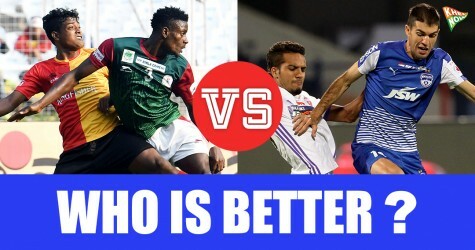 Chennai City and Minerva Punjab will both want nothing less than a win when they meet at the JLN Stadium on Friday (March 2, 2018) in a massive clash that will have an effect on both ends of the Hero I-League table. As Soundararajan and his men prepare for their final league game, they face the daunting task of bringing the relentless Minerva Punjab side to a halt in their title race in order to better their own chances of escaping relegation. “It is a challenge again for us. Tomorrow, it is our last match on our home ground. Only if we win, we can improve our reputation. We will go all out, regardless of the opponent. We have got nothing to lose,” said Chennai City head coach V Soundararajan. Minerva Punjab are top of the league table with 32 points from 16 games. With two games left, the Hero I-League title is theirs to lose as NEROCA FC (31 points from 17 games), East Bengal (29 points from 16) and Mohun Bagan (27 points from 16) wait to pounce on any dropped points by the title favourites. The position of their opponents in the standings has no bearing on how Minerva Punjab are preparing for the game, according to head coach Khogen Singh. Chennai City are in a spot of bother at the other end of the table. Since Gokulam Kerala and Indian Arrows are free of relegation worries, Churchill Brothers are the team for the Southerners to better. Although superior head to head results give Chennai City an advantage, Soundararajan’s boys must win their last game and hope that Churchill Brothers go winless in their remaining two fixtures. A disastrous run of eight winless games was brought to an end by Chennai City as they won 3-1 against their struggling rivals Churchill Brothers a few weeks ago. 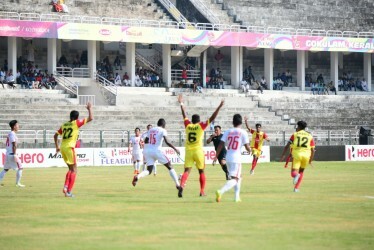 But East Bengal put Chennai to the swords and ran riot in a 7-1 thrashing in their last game to dent the confidence in the Coimbatore camp. Jean-Joachim Junior needs to turn up once again, just like he did at the start of the season, to fire Chennai into a hopeful lead against Minerva. 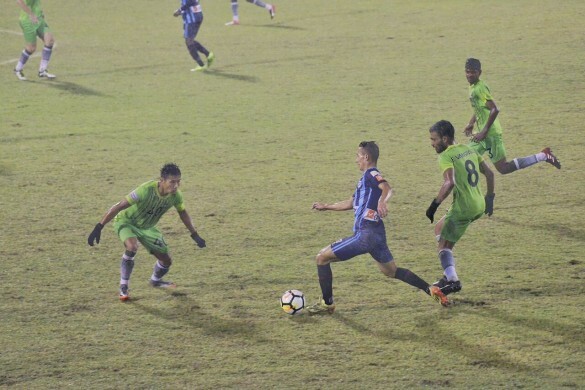 Chennai City have always tried to play an attacking game of football and it should continue against Khogen Singh’s side, against whom they will hope to score early in the game to pile up the pressure. Defeats to giant-killers Gokulam Kerala and title rivals East Bengal caused an opening for the title race, reducing Minerva Punjab’s lead at the top. Akash Sangwan and Armand Bazie scored to help the Punjab-based side to register a strong comeback win against Aizawl in their previous game and that should act as a huge morale-booster. An early goal for Chennai City could pave way for a shock result but Minerva Punjab will be confident of a commanding performance over ninety minutes to put one hand on the much sought out Hero I-League trophy. The match is scheduled at 05:30 PM and it’ll broadcast on Star Sports 2/2 HD and streamed live on Hotstar and Jio TV.